New Haven Police Detective Patrick Morgan is assigned to investigate a string of ritualistic murders, which leads him to discover that the killer has left behind something valuable. Armed with the evidence he needs to bring a madman to justice, Detective Morgan sets his sights on his target. Unfortunately for him, he’s not the only one, and his competition will do anything to ensure he fails. Buy the print book here and the ebook here. 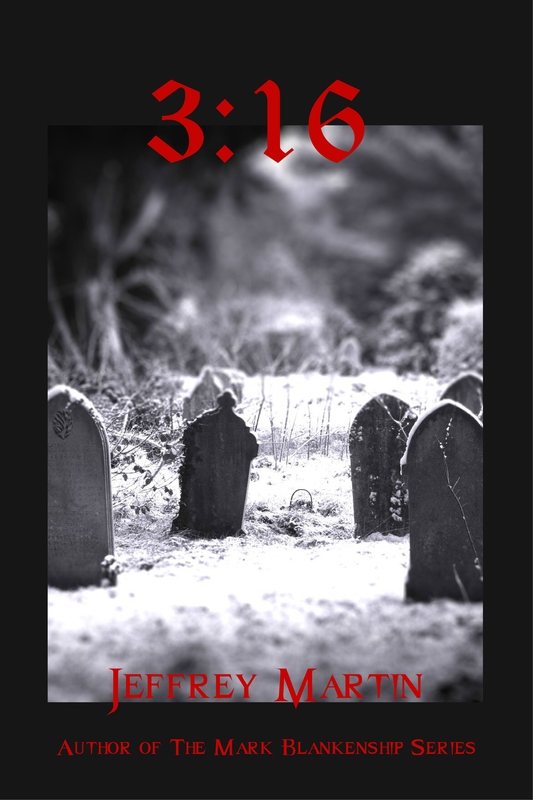 Buy it on Smashwords here! Don’t see the version of the ebook you need? More available soon! Can’t Wait ! To Read 3:16 ! Will Order Soon ! Jeffrey, 3:16 displays your wonderful talent of writing such creative literature work. The title 3:16 was quite fitting. This book was full of suspense and I loved the ending! Looking forward to your next novel.